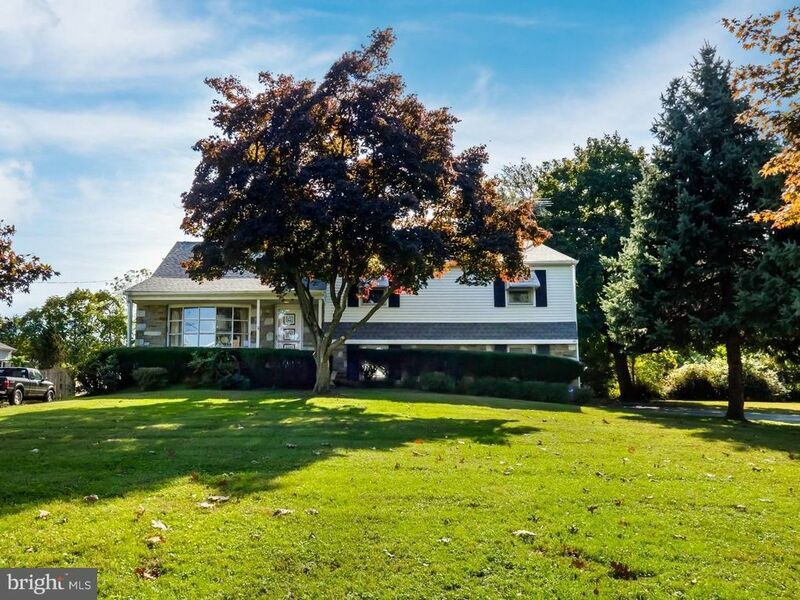 Location, Location, Location?In the historic Borough of Langhorne Manor and sitting on a level half acre homesite, this original owner residence awaits your imagination. Upon arriving you will note the natural stone exterior detail. Once inside you will observe large rooms. Under the wall to wall carpeting are blond oak hardwood floors that have never been exposed. Imagine how beautiful they will look when carpeting is removed. A decent sized eat-in kitchen has real wood cabinetry. When ready to remodel the kitchen, you could open up the entire first floor by removing the wall that divides the kitchen from the living and dining rooms. Out back is a wonderful glass enclosed three-season porch. Down a short flight of stairs is the over-sized family room with stone fireplace with insert, and large window overlooking the park-like rear yard. Imagine the fun you can have at your back-yard get togethers. Off the family room is a conveniently located laundry area with access to the garage so it doubles as a mud-room. Finishing off this level is a full ceramic bath. Access to the basement with unusually high ceiling heights for this time frame construction is also off the laundry area. Ascend a short flight of steps from the living room, and you are on the bedroom level. A full hall bath is provided, and has access from the hall and master bedroom. All bedrooms have ceiling fans with light kits, and ample closet space. Easy access is provided via a regular set of stairs off the hall to an attic area with ceilings high enough to convert into an additional bedroom that would be approximately 19' x 14'. This fine property is located only minutes to the Langhorne Train station for an easy commute into Philadelphia. Shopping and parks are nearby, and so is Carin University. Come take a look today.